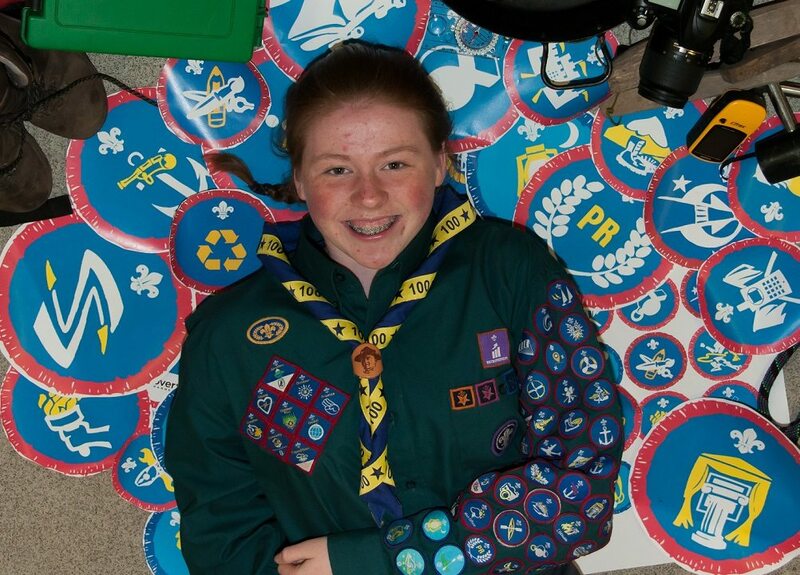 Hannah Hunt: first Scout in the UK to complete every badge possible! Hannah Hunt aged 14, and a Scout at Penistone Scout group, has become the first scout in the UK to complete every badge in the scout section. Hannah has completed 82 activity badges and 9 challenge badges as well as the top award in the scout section, the Chief Scouts Gold Award. To complete all the badges has taken an enormous amount of dedication, but at the same time lots of fun and adventure. In her quest to achieve the hundreds of requirements, she has paddled kayaks, flown in a glider, taken part in horse-riding, dragon-boating, geocaching, parascending, learnt basic and advanced aviation and nautical skills, how to sail a dinghy and even memorised 30 types of aircraft. Hannah is soon to join Explorers, the next section in the Scout Association, and although she is concentrating on her studies for the time being, no doubt she will be taking a look at the badges she can achieve as an Explorer Scout.